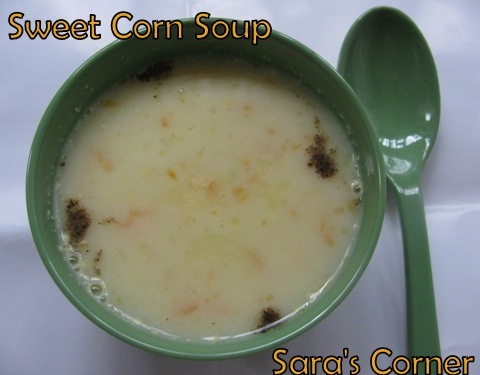 I love sweet corn soup..one of my favorite..
healthy and yummy soup!! nice click! Thats a beautiful and comforting soup..
Yummy...that looks and sounds delicious! Very delicious and tempting soup !!!! My all time fav soup..looks inviting! Saraswathi, Sweet Corn soup is tempting..May be I should try some soup very soon.. Thank you friends for your lovely encouragement.